application form for Mr and Miss Fresh Uniben 2017 is officially out. Application Form are sold @2000 and can be gotten @ Nescafe Lounge Uniben, D. O. S Office Ekehuan. * Monthly salary stipends for 6 months. * And other consolation prizes. What are you waiting for, hurry up and get your forms now. 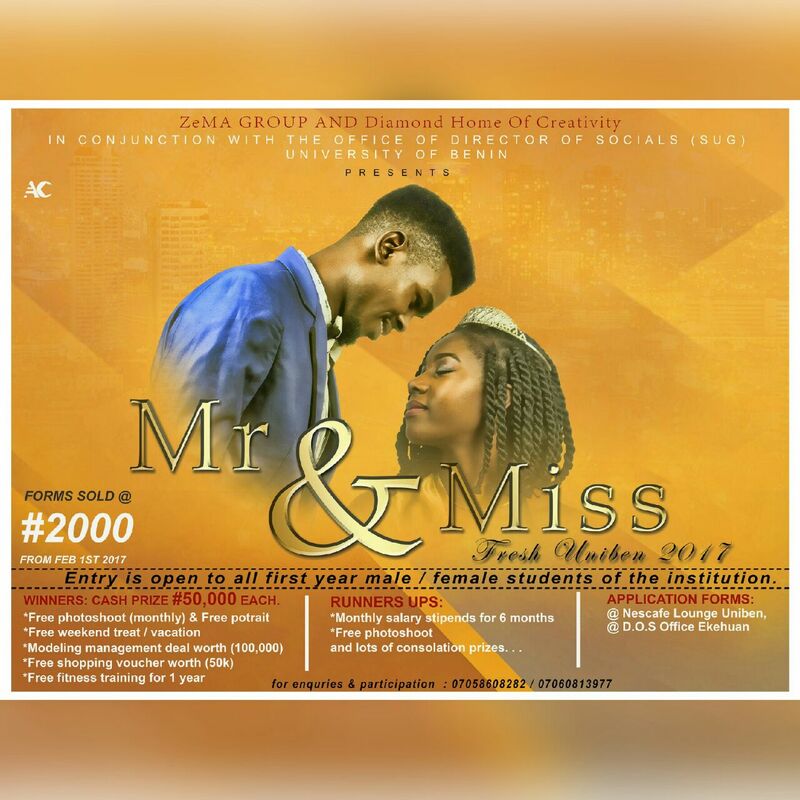 It is Mr and Miss Fresh 2017. Anticipate..
For more enquiries, sponsorship and participation Please Call 07060813977, 07058608282.